NOTICE IS HEREBY GIVEN, the Village of Chenequa, Waukesha County Board of Review will meet on the 13th day of May, 2019 at 5:45 p.m. at the Chenequa Village Hall, 31275 W County Road K, Chenequa, Wisconsin for the purpose of calling the Board of Review into session during the forty-five day period beginning on the 4th Monday of April, pursuant to Sec. 70.47(1), Wis. Stats. Due to the fact the assessment roll is not completed at this time, the Board of Review will be adjourned until Thursday, July 25, 2019 at 2:00 p.m.
No person may appear before the Board of Review, testify to the Board by telephone or contest the amount of any assessment unless, at least 48 hours before the first meeting of the Board or at least 48 hours before the objection is heard if the objection is allowed under sub. (3)(a), that person provides to the Clerk of the Board of Review notice as to whether the person will ask for removal under sub. (6m)(a) and, if so, which Member will be removed and the person’s reasonable estimate of the length of time that the hearing will take. No person may appear before the Board of Review, testify to the Board by telephone or object to a valuation; if that valuation was made by the Assessor or the Objector using the income method; unless the person supplies to the Assessor all of the information about income and expenses, as specified in the manual under Sec. 73.03(2a), Wis. Stats., that the Assessor requests. The Village of Chenequa has an ordinance for the confidentiality of information about income and expenses that is provided to the Assessor under this paragraph and shall provide exceptions for persons using the information in the discharge of duties imposed by law or of the duties of their office or by order of a court. The information that is provided under this paragraph, unless a court determines that it is inaccurate, is not subject to the right of inspection and copying under Sec. 19.35 (1) Wis. Stats. Pursuant to Sec. 70.45, Wis. Stats, the assessment roll for the Year 2019 assessment will be open for examination on the 18th day of June, 2019 at 8:00 a.m. until 4:30 p.m. Monday through Thursday and from 8:00 a.m. until 3:00 p.m. on Fridays. Additionally, Assessor Mark Link of Tyler Technologies will be available at the Village Hall, 31275 W County Road K, Chenequa, Wisconsin on the 26th day of June, 2019 from 3:00 to 6:00 p.m. Instructional material will be provided at the Open Book to persons who wish to object to valuations under Sec. 70.47, Wis. Stats. If you wish to make an appointment, contact Mark Link at 1-800-959-6876 Ext. 1. A revaluation of property assessments in 20% of the Village of Chenequa shall occur for the 2019 assessment year. The approximate dates of the revaluation notices being sent to property owners is expected to be the week of June 17, 2019. Please also notice that the Assessor has certain statutory authority to enter land as described in Sections 943.13 and 943.15, Wisconsin Statutes. The ability to enter land is subject to several qualifications and limitations, as described within the foregoing statutes. Copies of the applicable statutes can be obtained at the public depositories throughout the State of Wisconsin, and from the State of Wisconsin Legislative Reference Bureau website (www.legis.state.wi.us/rs/stats.html) or a copy may be obtained from the Municipal Clerk upon payment of applicable copying charges. Village Trustees approved a resolution to update the existing Wisconsin Public Employers’ Group Health Insurance Program for employees and annuitants. Village Trustees proclaim April 26, 2019 as Arbor Day in the Village of Chenequa and are urging citizens to support efforts to protect our trees and woodlands and to support our village’s urban forestry program. We are also urging citizens to plant trees to gladden the hearts and promote the well being of present and future generations. The polls will be open for the Spring Primary to be held on April 2, 2019, from 7:00 AM to 8:00 PM. Voting will take place at the Chenequa Village Hall located at 31275 W County Road K in the Village of Chenequa. Polling place is accessible to elderly and disabled voters. If needed, the Municipal Board of Canvassers will also hold a meeting at 4:00 p.m. in the Village Office to process and count late-arriving provisional ballots (if any) that arrived in our office by mail on Friday, April 5, 2019. Monday, March 25, 2019 at 10 a.m.
Notice is hereby given that the Public Test of the DS200 Precinct Scanner and Tabulator and Express Vote election equipment to be used at the Spring Election to be held on Tuesday, April 2, 2019 will be held on Monday, March 25, 2019 at 10 a.m. at the Village Hall, 31275 W County Road K, Chenequa, Wisconsin 53029. Village Trustees adopted Ordinance No. 2019-03-11-04 on March 11, 2019. This ordinance amends Sections 1.09(1) and (2) of the Village Code as it pertains to the composition of the Board of Review Members. Village Trustees adopted Ordinance No. 2019-03-11-03 and Ordinance Nos: 2019-03-11-03(a) thru (g) on March 11, 2019. This ordinance amends and restates Chapter 3 of the Village Code by amending and restating Chapter 3 of the Village Code pertaining to land in order to update references and to make Chapter 3 more usable for members of the public and Village staff. Also, certain sections of Chapter 3 were repealed and recreated in order to update various terms, definitions and requirements as well as to relocate those sections to more appropriate Chapters of the Code. Village Trustees adopted Ordinance No. 2019-03-11-02 on March 11, 2019. The Village of Chenequa Official Map has been amended. A copy will be on file with the Village Clerk. Village Trustees adopted Ordinance No. 2019-03-11-01 on March 11, 2019. Section 6.3(2) of the Village Code was amended defining the term of “Accessory Structure”; Section 6.3(22) was created defining the term of “Indoor Recreational Facilities”; and Section 6.7(4) was amended which pertains to Legal Nonconforming Structures, in order to update and clarify the definitions and standards pertaining to Legal Nonconforming Structures. Contact your municipal clerk and request that an application for an absentee ballot be sent to you for the primary or election or both. You may also submit a written request in form of a letter. Your written request must list your voting address within the municipality where you wish to vote, the address where the absentee ballot should be sent, if different, and your signature. You may make application for an absentee ballot by mail, email or in person. You may also request and vote an absentee ballot in the clerk’s office or other specified location during the days and hours specified for casting an absentee ballot. 5 pm on the Friday before the election, Friday, March 29, 2019. No in-person absentee voting may occur the day before the election. On Monday, February 11, 2019, the Village Board did ordain and adopt a repealed and recreated Section 1.10 of the Village Code due to the addition of a new full member (Village of Johnson Creek) and a contract member (Town of Sullivan). Click here for full context of Ordinance No. 2019-02-11-02. On Monday, February 11, 2019, the Village Board adopted a resolution authorizing the execution of a Letter Agreement between the Village of Chenequa and Village Administrator relative to transition and insurance mataters. Click here for full context of Resolution No. 2019-02-11-02. On Monday, February 11, 2019, the Village Board adopted a resolution to approve a Memorandum of Understanding between the Village of Chenequa and the WI Professional Police Association on behalf of the Chenequa Professional Police Officer Association amending Article 12, Section. Click here for full context of Resolution No. 2019-02-11-01. Underground Utility Facilities Required will be moved to Chapter 5, Section 5.26; additional modification will be done to subsections (3) thru (5) so it’s not mandatory to install underground utility facilities. A copy of the proposed Official Map may viewed on our website or at the Village Hall during regular office hours. Interested parties may contact Robert Douglas, the Village Administrator, at 262-367-2239 or chief@chenequa.org. A copy of the proposed changes to Chapter 3 and the relocation of certain sections may also be viewed on our website or at the Village Hall during regular office hours. Interested parties may contact Robert Douglas, the Village Administrator, at 262-367-2239 or chief@chenequa.org. During the Public Hearing, the public is invited to speak on the proposed Official Map and Chapter 3. Written comments may be submitted to the Village Clerk-Treasurer until 4:30 p.m. on March 11th. The public hearing shall be closed when all interested parties in attendance have had an opportunity to offer comment. Upon the close of the Public Hearing, a meeting of the Plan Commission and Village Board shall be called to order and this matter shall be addressed per the agenda. 2. The Police Commission may enter into closed session to consider candidate selection pursuant to Wisconsin State Statute §19.85 (1) (c) for the purpose of considering employment, promotion, compensation, or performance evaluation data of any public employee over which the governmental body has jurisdiction or exercise responsibility for the purpose of discussing wage and benefit matters. Participating in the closed session will be the Police Commission Members, Police Chief/Village Administrator and Police Captain. 4. Action based on closed session considerations. Those invited to attend are: Chairman Timothy Tyre, Members: Gordon Gunnlaugsson, Sam Bradt, Martin Gallun, Helmut Keidl, and Police Chief/Administrator Robert Douglas, Police Captain Dan Neumer and another members of the public wishing to attend. NOTICE IS HEREBY GIVEN that at an election to be held in the Village of Chenequa, on Tuesday, April 2, 2019, the following offices are to be elected to succeed the present incumbents listed. The term for Village Trustee begins on April 16, 2019. The term for all other offices begins on May 1, 2019. All terms are for two years unless otherwise indicated. NOTICE IS FURTHER GIVEN, that the first day to circulate nomination papers is Saturday, December 1, 2018 and the final day for filing nomination papers is 5:00 p.m. on Wednesday, January 2, 2019 in the office of the Village Clerk. NOTICE IS FURTHER GIVEN, that if a primary election is necessary, the primary will be held on Tuesday, February 19, 2019. A huge thank you to the residents of Chenequa for the impressive turn out in this important election! Notice is hereby given that a public hearing on the proposed 2019 Budget will be held on Monday, November 12th at 6:30 p.m. during the regularly scheduled meeting of the Chenequa Village Board, 31275 W County Road K in the Village of Chenequa. The budget can be reviewed at the Village Hall. Notice is hereby given that the Public Test of the DS200 Precinct Scanner, Tabulator, and Express Vote election equipment to be used at the upcoming election will be held on Monday, October 29, 2018 at 10 a.m. at the Village Hall, 31275 W County Road K, Chenequa, Wisconsin 53029. Effective today’s date, North Lake Management District has decided to lift the slow-no-wake restriction on North Lake. The lake reading is at an acceptable level for the lift this ban. Should we get significant rainfall, it will be reassessed. Enjoy the lake! The purpose of this public hearing is to accept public comment on the proposed variance request. Dated this 9th day of October, 2018. 5 pm on the Friday before the election, Friday, November 2, 2018. The polls will be open for the General Election to be held on November 6, 2018, from 7:00 AM to 8:00 PM. Voting will take place at the Chenequa Village Hall located at 31275 W County Road K in the Village of Chenequa. Polling place is accessible to elderly and disabled voters. If needed, the Municipal Board of Canvassers will also hold a meeting at 4:00 p.m. in the Village Office to process and count late-arriving provisional ballots (if any) that arrived in our office by mail on Friday, November 9, 2018. This is official notice that a meeting of the Village of Chenequa Operations Committee will be held on Wednesday, September 26, 2018 at 1:00 p.m. at the Village Hall, 31275 W County Road K, Chenequa. Click here to see the agenda. Resolution Approving Name Change of "Brumder Drive" to "Brumder Road"
Monday, August 13, 2018 at 6:00 p.m. The recodification does not change the allowable use of any property within the Village. The purpose of the public hearing is to accept public comment on the proposed amendments to Chapter 6. The proposed amendments to Chapter 6 can be viewed by clicking the link below or it may be reviewed at the Village Hall, 31275 W County Road K during normal business hours (Monday through Thursday, 8:00AM – 4:30PM and Friday, 8:00AM to 3:00PM). For further information regarding the public hearing, please contact Robert Douglas, Village Administrator at 262-367-2239. Written comments may be submitted to the Village Clerk-Treasurer until the public hearing is closed. Monday, August 6, 2018 at 10 a.m.
Notice is hereby given that the Public Test of the DS200 Precinct Scanner, Tabulator, and Express Vote election equipment to be used at the upcoming election will be held on Monday, August 6, 2018 at 10 a.m. at the Village Hall, 31275 W County Road K, Chenequa, Wisconsin 53029. 5 pm on the Friday before the election, Friday, August 10, 2018. The Municipal Clerk will deliver voted ballots returned on or before Election Day to the proper polling place or counting location before the polls close on August 14, 2018. Any ballots received after the polls close will not be counted. Board of Review - June 26, 2018 at 11:00 a.m.
Notice of high water condition has been declared on Beaver Lake. A temporary slow no wake will be in effect as of April 27th until the declaration of the high water condition is repealed. NOTICE IS HEREBY GIVEN, the Village of Chenequa, Waukesha County Board of Review will meet on the 30th day of May, 2018 at 10:00 a.m. at the Chenequa Village Hall, 31275 W County Road K, Chenequa, Wisconsin for the purpose of calling the Board of Review into session during the forty-five day period beginning on the 4th Monday of April, pursuant to Sec. 70.47(1), Wis. Stats. Due to the fact the assessment roll is not completed at this time, the Board of Review will be adjourned until Tuesday, June 19, 2018 at 9:00 a.m.
No person may appear before the Board of Review, testify to the Board by telephone or contest the amount of any assessment unless, at least 48 hours before the first meeting of the Board or at least 48 hours before the objection is heard if the objection is allowed under sub. (3)(a), that person provides to the Clerk of the Board of Review notice as to whether the person will ask for removal under sub. (6m)(a) and if so which member will be removed and the person’s reasonable estimate of the length of time that the hearing will take. No person may appear before the Board of Review, testify to the Board by telephone or object to a valuation; if that valuation was made by the assessor or the objector using the income method; unless the person supplies to the assessor all of the information about income and expenses, as specified in the manual under Sec. 73.03(2a), that the assessor requests. The municipality or county shall provide by ordinance for the confidentiality of information about income and expenses that is provided to the assessor under this paragraph and shall provide exceptions for persons using the information in the discharge of duties imposed by law or of the duties of their office or by order of a court. The information that is provided under this paragraph, unless a court determines that it is inaccurate, is not subject to the right of inspection and copying under s. 19.35 (1). Pursuant to Sec. 70.45, Wis. Stats, the assessment roll for the Year 2018 assessment will be open for examination on the 10th day of May, 2018 at 8:00 a.m. until 4:30 p.m. Monday through Thursday and from 8:00 a.m. until 3:00 p.m. on Fridays. Additionally, the Assessor shall be available at the Village Hall, 31275 W County Rd K, Chenequa, Wisconsin on the 10th day of May, 2018 from 3:00 to 6:00 p.m. and on the 17th day of May, 2018 from 3:00 to 6:00 p.m. Instructional material will be provided at the Open Book to persons who wish to object to valuations under Sec. 70.47, Wis. Stats. This notice from the Wisconsin Elections Commission is regarding a State referendum question that is on the April ballot which would eliminate the office of state treasurer from the constitution and to replace the state treasurer with the lieutenant governor as a member of the Board of Commissioner of Public Lands. The polls will be open for the Spring Primary to be held on April 3, 2018, from 7:00 AM to 8:00 PM. Voting will take place at the Chenequa Village Hall located at 31275 W County Road K in the Village of Chenequa. Polling place is accessible to elderly and disabled voters. If needed, the Municipal Board of Canvassers will also hold a meeting at 4:00 p.m. in the Village Office to process and count late-arriving provisional ballots (if any) that arrived in our office by mail on Friday, March 30, 2018. 5 pm on the Friday before the election, Friday, March 30, 2018. The Municipal Clerk will deliver voted ballots returned on or before Election Day to the proper polling place or counting location before the polls close on April 3, 2018. Any ballots received after the polls close will not be counted. Village Trustees passed a resolution on Monday, February 12th authorizing the execution of an agreement with Mark and Sally Egan regarding 5780 N Pheasant Drive. For full context click here. The polls will be open for the Spring Primary to be held on February 20, 2018, from 7:00 AM to 8:00 PM. Voting will take place at the Chenequa Village Hall located at 31275 W County Road K in the Village of Chenequa. Polling place is accessible to elderly and disabled voters. If needed, the Municipal Board of Canvassers will also hold a meeting at 4:00 p.m. in the Village Office to process and count late-arriving provisional ballots (if any) that arrived in our office by mail on Friday, February 23, 2018. Monday, February 12, 2018 at 10 a.m.
Notice is hereby given that the Public Test of the DS200 Precinct Scanner and Tabulator and Express Vote election equipment to be used at the Spring Primary Election to be held on Tuesday, February 20, 2018 will be held on Monday, February 12, 2018 at 10 a.m. at the Village Hall, 31275 W County Road K, Chenequa, Wisconsin 53029. 5 pm on the Friday before the election, Friday, February 16, 2018. The Municipal Clerk will deliver voted ballots returned on or before Election Day to the proper polling place or counting location before the polls close on February 20, 2018. Any ballots received after the polls close will not be counted. On Monday, December 11th, the Village Board passed the attached resolution approving the 2018 Lake Country Municipal Court Budget. 2. The Village of Chenequa Personnel Committee may enter into closed session pursuant to Wisconsin §19.85(1) (c) to consider employment and compensation of public employees over which the Village exercises responsibility. 4. Possible discussion regarding other personnel issues. Village Trustees passed a resolution relative to the finding of a public nuisance with respect to the existence of Oak Wilt upon certain properties in the Village of Chenequa and ordering the abatement of such public nuisance. For full context click here. Village Trustees passed a resolution on November 13, 2017 approving the investment of Village funds with Landmark Credit Union. For full context click here. The Village Trustees adopted a pubic road policy on November 13, 2017. For full context of the resolution and 2017 Public Road Policy click here. The Board of Trustees approved the 2018 Budget and 2017 Tax Levy by resolution on November 13, 2017. For full context click here. Notice is hereby given that a Public Hearing on the proposed 2018 Budget will be held on Monday, November 13, 2017 @ 6:30 p.m. during the regularly scheduled meeting of the Chenequa Village Board at the Village Hall located at 31275 W County Road K, Chenequa, Wisconsin. The budget is available for review at the administrative offices in the municipal building. Police Clerk posted this agenda – Tuesday, September 19, 2017 @ 10:00 a.m.
3) The Village of Chenequa Personnel Committee may enter into closed session pursuant to Wisconsin § 1985(1)(e) to consider collective bargaining issues with the Police Officers Association and pursuant to Wisconsin §19.85(1)(c) to consider compensation and performance evaluation of public employees over which the Village exercises responsibility. Village Clerk posted this agenda – Tuesday, September 19, 2017 @ 10:00 a.m. The purpose of the public hearing is to accept public testimony and public comment on the proposed application. Applicant: Peter Mainka 32601 W Oakland Road, Chenequa, WI 53058. CANCELLED - Public Hearing Notice - Monday, September 11, 2017 at 6:00 p.m. The proposed amendment revised the definition of “Private Storage and Maintenance Facility” to include “when located south of Highway 16.” For full context click here. PUBLIC HEARING NOTICE - Monday, August 14, 2017 at 6:00 p.m. The Trustees of the Village Chenequa passed a resolution approving the purchase of a new plow truck (2017 Ford F-550) for the highway department. The vehicle will be outfitted with an aluminum flatbed, hazard lighting, stainless steel Monroe salter, Boss 10′ V-Plow, and an aluminum chipper box. Funding for the vehicle will be monies received at auction for the 2005 Ford F-450, sale of Village property and budgeted savings realized in 2016. For full context of the resolution click here. Resolution No. 2017-06-12-01 Approving and Authorizing the Execution of a Vacant Land Offer to Purchase for Village Property at 4671 Vettleson Road, Chenequa, Wisconsin. The Village Board of Trustees adopted Resolution No. 2017-06-12-01 Approving and Authorizing the Execution of a Vacant Land Offer to Purchase for Village Property at 4671 Vettleson Road, Chenequa, Wisconsin. The Board of Review will be held on Tuesday, June 6, 2017 at 10:00am. To view agenda click here. The Village Board of Trustees adopted the attached ordinance to amend Section 6.03(2) Defining the term “Accessory Structure”, create Section 6.05(3)(d) Relating to the designation of a private storage and maintenance facility as a conditional use, and repeal Section 6.05(4)(b)(x) Relating to the Minimum acreage of a site for a proposed conditional use. Pursuant to s. 281.17(2) Wis. Stats., and Chapters NR 107, 200 and 201, Wis. Adm. Code, the Village of Chenequa has made application to the WI DNR for chemical aquatic plant control and Wisconsin Pollutant Discharge Elimination System (WPDES) pesticide pollutant permit application. This permit application is required to request coverage for pollutant discharge into waters of the State. Personally identifiable information on the forms can be seen by clicking on the approproiate application. The Village Board of Trustees adopted the attached resolution to re-execute the Successor Agreement reflecting additional parties. The polls will be open for the Spring Election to be held on April 4, 2017, from 7:00 AM to 8:00 PM. Voting will take place at the Chenequa Village Hall located at 31275 W County Road K in the Village of Chenequa. Polling place is accessible to elderly and disabled voters. If needed, the Municipal Board of Canvassers will also hold a meeting at 4:00 p.m. in the Village Office to process and count late-arriving provisional ballots (if any) that arrived in our office by mail on Friday, March 30, 2017. The Village Board of Trustees adopted the attached ordinance to amend and restate Section 1.10 of Village Code of Ordinances pursuant to Section 755.01(4) and Section 66.0301 of the Wisconsin Statutes. The Village Board of Trustees adopted the attached ordinance to amend and restate Section 5.04(3)(b) of Village Code of Ordinances relating to adjustments and forfeitures of construction deposits. The Village Board of Trustees adopted the attached ordinance to create Section 2.03 of Village Code of Ordinances relating to cigarette and tobacco retail licenses. The Village Board of Trustees adopted the attached ordinance to repeal and recreate Section 6.05(8) of the Village Code of Ordinances relating to boathouses. 5 pm on the fifth day before the election, Thursday, March 30, 2017. 3 pm on the Friday before the election, Friday, March 31, 2017. The Municipal Clerk will deliver voted ballots returned on or before Election Day to the proper polling place or counting location before the polls close on February 21, 2017. Any ballots received after the polls close will not be counted. This is official notice that at the regular monthly meeting of the Village Board of Trustees for the Village of Chenequa scheduled for 6:30 p.m. on Monday, March 13, 2017, at the Village Hall, 31275 W County Road K, the following matter will be heard: Ordinance to Repeal Section 6.05(8) of the Village of Chenequa Code of Ordinances Relating to the Regulation of Boathouses. Waukesha County Election Results click here. The polls will be open for the Spring Primary to be held on February 21, 2017, from 7:00 AM to 8:00 PM. Voting will take place at the Chenequa Village Hall located at 31275 W County Road K in the Village of Chenequa. Polling place is accessible to elderly and disabled voters. If needed, the Municipal Board of Canvassers will also hold a meeting at 4:00 p.m. in the Village Office to process and count late-arriving provisional ballots (if any) that arrived in our office by mail on Friday, February 24, 2017. Notice is hereby given that the Public Test of the DS200 Precinct Scanner and Tabulator and Express Vote election equipment to be used at the Spring Primary Election to be held on Tuesday, February 21, 2017 will be held on Monday, February 13, 2017 at 10 a.m. at the Village Hall, 31275 W County Road K, Chenequa, Wisconsin 53029. 5 pm on the fifth day before the election, Thursday, February 16, 2017. 3 pm on the Friday before the election, Friday, February 17, 2017. The Village Board of Trustees adopted the attached ordinance to repeal and recreate Section 5.20(2)(d) of the Village Code of Ordinances. For full context, click here. The Village Board of Trustees adopted the attached ordinance to repeal and recreate Section 8.23(8) of the Village Code of Ordinances relating to the operation and maintenance of permanent standby generators to include Saturday hours of operation. For full context click here. NOTICE IS HEREBY GIVEN that at an election to be held in the Village of Chenequa, on Tuesday, April 4, 2017, the following offices are to be elected to succeed the present incumbents listed. The term for Village Trustee begins on April 18, 2017. The term for all other offices begins on May 1, 2017. All terms are for two years unless otherwise indicated. NOTICE IS FURTHER GIVEN, that the first day to circulate nomination papers is Thursday, December 1, 2016 and the final day for filing nomination papers is 5:00 p.m. on Tuesday, January 3, 2017 in the office of the Village Clerk. NOTICE IS FURTHER GIVEN, that if a primary election is necessary, the primary will be held on Tuesday, February 21, 2017. Done in the Village of Chenequa on November 14, 2016. NOTICE IS HEREBY GIVEN that the Voting System Audit of the DS200 tabulation equipment and the ExpressVote accessible voting equipment used on Tuesday, November 8, 2016 for the Village of Chenequa will be conducted at the Waukesha Town Hall, W250S3567 Center Road, Waukesha, Wisconsin 53189 on November 22, 2016 at 9:00 a.m. The Audit is open to the public. Wisconsin State Statutes 7.08(6). The Village Board of Trustees passed a resolution on Monday, November 14, 2016 for budget adoption and tax levy. For full text click here. The Village Board of Trustees on Monday, November 14, 2016 passed a Resolution relative to the finding of a public nuisance with respect to the existence of Oak Wilt upon certain properties located in the Village of Chenequa and ordering abatement of such public nuisance. For full text click here. The Board of Trustees on Monday, November 14, 2016 Amended and Restated a Resolution authorizing the securing of a loan with First Bank Financial Centre to finance short term debt; providing for the issuance and sale of a general obligation promissory note and levying a tax in connection therewith. To see the amended and restated resolution click here. The polls will be open for the Partisan Office & Referendum to be held on November 8, 2016, from 7:00 AM to 8:00 PM. Voting will take place at the Chenequa Village Hall located at 31275 W County Road K in the Village of Chenequa. Polling place is accessible to elderly and disabled voters. If needed, the Municipal Board of Canvassers will also hold a meeting at 4:00 p.m. on Friday, November 11, 2016, in the Village Office to process and count late-arriving provisional ballots (if any) that arrived in our office by mail on Friday, November 11, 2016. Monday, October 31, 2016 at 10 a.m.
Notice is hereby given that the Public Test of the DS200 Precinct Scanner and Tabulator and Express Vote election equipment to be used at the Presidential Election to be held on Tuesday, November 8, 2016 will be held on Monday, October 31, 2016 at 10 a.m. at the Village Hall, 31275 W County Road K, Chenequa, Wisconsin 53029. Notice is hereby given that a Public Hearing to hear comments on the proposed 2017 Budget and violations of Village Ordinance 3.07(7) (Abating Public Nuisances) will be held on Monday, November 14, 2016 at 6:30 p.m. in the Board Room of the Village Hall located at 31275 W County Road K, Chenequa, WI. The budget is available for review at the administrative offices in the municipal building. Click here to see the budget summary. Please take notice that the Village of Chenequa adopted Resolution 2016-10-10-2 Authorizing the Securing of a Loan with First Bank Financial Centre to Finance Short Term Debt; Providing for the Issuance and Sale of a General Obligation Promissory Note Therefor; and Levying a Tax in Connection Therewith on the 10th day of October, 2016 in accordance with Sections 67.04(1)(b); 67.04(1)(ar); and 67.12(12). This posting is being edited and updated on December 15, 2016. This resolution amended and restated by resolution on November 14, 2016. The Village Board of Trustees adopted Section 8.23(8) relating to the operation and maintenance of permanent standby generators. This posting is being edited and updated on December 15, 2016. This ordinance was repealed and recreated on December 12, 2016. This is official notice that a meeting of the Village of Chenequa Personnel Committee will be held at 8:30 a.m. on Friday, October 7, 2016 at the Village Hall, 31275 W County Road K, Chenequa. Click here for the agenda. This is official notice that a meeting of the Village of Chenequa Public Safety Committee will be held at 8:30 a.m. on Tuesday, October 4, 2016 at the Village Hall, 31275 W County Road K, Chenequa. Click here for the agenda. This is official notice that a meeting of the Chenequa Police Commission will be held on Monday, October 3, 2016 at 10:00 a.m. at the Village Hall, 31275 W County Road K, Chenequa. Click here for the agenda. This is official notice that a meeting of the Village of Chenequa Operations Committee will be held on Tuesday, October 4, 2016 at 10:30 a.m. at the Village Hall, 31275 W County Road K, Chenequa. Click here to see the agenda. 3 pm on the fifth day before the election, Friday, October 28, 2016. The Municipal Clerk will deliver voted ballots returned on or before Election Day to the proper polling place or counting location before the polls close on November 8, 2016. Any ballots received after the polls close will not be counted. On August 17, 2016, the Board of Education for the Arrowhead Union High School District adopted a Resolution providing for a Referendum Election for the November 8, 2016 General Election. Click here for a copy of the Referendum Resolution and Exhibits. Wisconsin now requires an acceptable photo ID to vote. Most people already have the ID they need, such as a driver’s license, state ID card, passport, veteran’s ID, tribal ID or student ID. To find out if you have the right ID to vote, visit www.bringit.wi.gov or call 866-VOTE-WIS, where you can also learn about important exceptions to the law for some absentee voters. If you don’t have an acceptable photo ID, you’ll learn how to get a free state ID card for voting purposes from the Division of Motor Vehicles, even if you don’t have a copy of your birth certificate. Just remember to Bring It to the Ballot! The polls will be open for the Partisan Primary to be held on August 9, 2016, from 7:00 AM to 8:00 PM. Voting will take place at the Chenequa Village Hall located at 31275 W County Road K in the Village of Chenequa. Polling place is accessible to elderly and disabled voters. If needed, the Municipal Board of Canvassers will also hold a meeting at 4:00 p.m. on Friday, August 12, 2016, in the Village Office to process and count late-arriving absentee and provisional ballots (if any) that arrived in our office by mail on Friday, August 12, 2016. 1)	Call the meeting to order. 2)	Review and consider Chief of Police’s recommendation for promotion of Sergeant Dan Neumer to the position of Captain within the department due to retirement. 3)	The Police Commission may enter into Closed Session pursuant to 19.85(1)(c) of Wisconsin State Statutes to discuss and consider candidate selection. Those invited to attend are: Timothy Tyre Chairman, Helmut Keidl, Gordon Gunnlaugsson, Russell Witt, Sam Bradt, Village Police Chief/Administrator Bob Douglas, Sergeant Dan Neumer and any other members of the public wishing to attend. Notice is hereby given that the Public Test of the DS200 Precinct Scanner and Tabulator and Express Vote election equipment to be used at the Presidential Primary Election to be held on Tuesday, August 9, 2016 will be held on Monday, August 1, 2016 at 10 a.m. at the Village Hall, 31275 W County Road K, in the Village of Chenequa. Monday, August 1, 2016 at 10 a.m.
Notice is hereby given that the Public Test of the DS200 Precinct Scanner and Tabulator and Express Vote election equipment to be used at the Presidential Primary Election to be held on Tuesday, August 9, 2016 will be held on Monday, August 1, 2016 at 10 a.m. at the Village Hall, 31275 W County Road K, Chenequa, Wisconsin 53029. Contact your municipal clerk and request that an application for an absentee ballot be sent to you for the primary or election or both. You may also submit a written request in form of a letter. Your written request must list your voting address within the municipality where you wish to vote, the address where the absentee ballot should be sent, if different, and your signature. You may make application for an absentee ballot by mail or in person. 5 pm on the fifth day before the election, Friday, August 5, 2016. The Municipal Clerk will deliver voted ballots returned on or before Election Day to the proper polling place or counting location before the polls close on August 9, 2016. Any ballots received after the polls close will be counted by the Board of Canvassers if postmarked by Election Day and received no later than 4 pm on the Friday following the election. (b) Regular meetings of the Board of Trustees shall be held on the second Monday of each month at 6:30 p.m. or immediately following adjournment of the Village Plan Commission. If such day falls on a holiday, the regular meeting for that month shall be held on the following Monday at the same time. No notice to members of the Board shall be required for regular meetings. Please be advised that the Notice of Assessments will be sent out by Wednesday, April 20th. Open Book will be held on April 28th and May 4th from 3:00 – 6:00 PM in the Board Room of the Municipal Building, 31275 W County Road K. Appointments are required. Please contact Assessor Mark Link of Tyler Technologies to schedule an appointment 800-800-2581 ext. 1634. Board of Review is scheduled for Wednesday, June 7th from 9:00 – 11:00 AM in the Board Room of the Municipal Building, 31275 W County Road K. Property owners are encouraged to meet with the assessor at Open Book before filing an objection form with the clerk. Deadline for forms to be filed (Notice of Intent to File Objection with Board of Review and Objection Form for Real Property Assessment) is 48 hours before the Board of Review meets. Additional information to follow. 2. 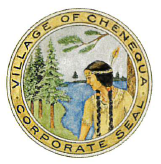 The Village of Chenequa Personnel Committee may enter into closed session pursuant to Wisconsin §19.85(1) (c) to consider employment and compensation of public employees over which the Village exercises responsibility. 4. Possible discussion regarding other personnel issues. The polls will be open for the Presidential Preference Vote and Nonpartisan Office to be held on April 5, 2016, from 7:00 AM to 8:00 PM. Voting will take place at the Chenequa Village Hall located at 31275 W County Road K in the Village of Chenequa. Polling place is accessible to elderly and disabled voters. If needed, the Municipal Board of Canvassers will also hold a meeting at 9:00 a.m. on Monday, April 11, 2016 in the Village Office to process and count late-arriving absentee and provisional ballots (if any) that arrived in our office by mail on Friday, April 8, 2016. Absentee Ballots are available for in-house voting on Monday, March 21st through Friday, April 1st. The Spring Ballot includes: the Presidential Primary, Justice of the Supreme Court, Court of Appeals Judge, County Supervisor, Multi-Jurisdictional Judge, Village Trustees and School District Offices. Click on the links below for sample ballots. Monday, March 28, 2016 at 10 a.m.
Notice is hereby given that the Public Test of the DS200 Precinct Scanner and Tabulator and Express Vote election equipment to be used at the Spring Election on Tuesday, April 5, 2016 will be held on Monday, March 28, 2016 at 10 a.m. at the Village Hall, 31275 W County Road K, Chenequa, Wisconsin 53029. The Village Board adopted Resolution 2016-03-14-2 amending the adopted 2015 budget on March 14, 2016. Notice of Assessments will be sent out by Wednesday, April 13th. The Board of Review is a quasi-judicial (court-like) body made up of the Village President, Village Clerk-Treasurer, and two Trustees. The polls will be open for the Spring Primary to be held on February 16, 2016, from 7:00 AM to 8:00 PM. Voting will take place at the Chenequa Village Hall located at 31275 W County Road K in the Village of Chenequa. Polling place is accessible to elderly and disabled voters. If needed, the Municipal Board of Canvassers will also hold a meeting at 4:00 p.m. in the Village Office to process and count late-arriving absentee and provisional ballots (if any) that arrived in our office by mail on Friday, February 19, 2016. A side yard of six (6) inches in width for each foot in height of a structure, with a minimum of ten (10) feet shall be provided on each side of every structure. No single family structure shall be constructed within fifty (50) feet of an existing single family structure on an adjoining lot, and no accessory building or recreational facility shall be erected within one hundred (100) feet of an existing single family structure on an adjoining lot. Recreational facilities in existence shall not prohibit a single family structure on an adjoining lot from building or remodeling inside the 100’ setback of a recreational facility. This Hearing is to give residents, property owners, and interested parties an opportunity to be heard and express their opinions on the above proposed variance request. Dated this 11th day of February, 2016. Monday, February 8, 2016 at 10 a.m.
Notice is hereby given that the Public Test of the DS200 Precinct Scanner and Tabulator and Express Vote election equipment to be used at the Spring Primary Election to be held on Tuesday, February 16, 2016 will be held on Monday, February 8, 2016 at 10 a.m. at the Village Hall, 31275 W County Road K, Chenequa, Wisconsin 53029. Voting by absentee ballot in the Clerk’s Office for the Spring Primary starts today. The last day to vote by absentee ballot in the Clerk’s Office is 5 pm on Friday, February 12, 2016. Click here for the sample ballot. The Spring Primary Election will be held on Tuesday, February 16th. Polling hours are from 7AM to 8PM. For details on how to vote by absentee ballot see our posting under Legal Notices. 5 pm on the fifth day before the election, Thursday, February 11, 2016. 5 pm on the fifth day before the election, Friday, February 12, 2016. The Municipal Clerk will deliver voted ballots returned on or before Election Day to the proper polling place or counting location before the polls close on February 16, 2016. Any ballots received after the polls close will be counted by the Board of Canvassers if postmarked by Election Day and received no later than 4 pm on the Friday following the election. Check back periodically to get the latest updates on legal notices for the village! NOTICE IS HEREBY GIVEN that at an election to be held in the Village of Chenequa, on Tuesday, April 5, 2016, the following offices are to be elected to succeed the present incumbents listed. The term for Village Trustee begins on April 19, 2016. The term for all other offices begins on May 1, 2016. All terms are for two years unless otherwise indicated. NOTICE IS FURTHER GIVEN, that the first day to circulate nomination papers is Tuesday, December 1, 2015 and the final day for filing nomination papers is 5:00 p.m. on Tuesday, January 5, 2016 in the office of the Village Clerk. NOTICE IS FURTHER GIVEN, that if a primary election is necessary, the primary will be held on Tuesday, February 16, 2016. The budget is available for review at the administrative offices in the municipal building. A public hearing was held on Monday, August 10, 2015, for the purpose of hearing public comments on the amendment of Sections 6.03(2), 6.03(26), 6.03(29), 6.05(6)(c)(i) and 6.15(g) relating to accessory structures, recreational facilities and non-conforming structures. In accordance with Wisconsin Statutes §66.103, the following is amended, created and adopted: Resolution No. 2015-08-10-01. A special election will be held to fill the Assembly Seat for District 99 which was vacated by Chris Kapenga who is our newly elected District 33 Senator. The Primary Election will be held on Tuesday, September 1st followed by a Special Election on Tuesday, September 29th. In person absentee voting for the Primary Election begins Monday, August 17th and ends Friday, August 28th at 5:00 p.m.
In-person absentee voting for the Special Election begins Monday, September 14th and ends Friday, September 25th at 5:00 p.m. REMEMBER: Voters are required to show Voter ID. Please have your ID ready to present when voting. For additional information on Voter ID: www.bringit.wi.gov. These results are tentative as the outstanding absentee ballots have until Friday, July 24, 2015, to be submitted and counted. If needed, the Board of Canvass will reconvene on Friday, July 24, 2015 at 4:00 pm. Election Results. A special election will be held on Tuesday, July 21st for the State Senate seat in District 33. Polling hours are from 7 AM to 8 PM. Attached is a sample ballot. Kapenga advances to the July 21st General Election. For complete election results click here. The regularly scheduled meeting for the Plan Commission and Village Board in July has been changed. Please be advised these meetings have been rescheduled to Wednesday, July 1st. Plan Commission will meet at 6 PM and the Village Board will meet at 6:30 PM. Absentee In-house Voting Starts Today! Absentee Ballots are available for in-house voting on today, July 6th through Friday, July 17th. This is official notice that a public hearing will be held before the regular monthly meeting of the Village Board of Trustees for the Village of Chenequa immediately following the Village Plan Commission but no earlier than 6:30 p.m. on Monday, May 11, 2015 at the Village Hall, 31275 W County Road K, Chenequa, Wisconsin to hear comments regarding the proposed revisions to Village Code 3.07(7). A proclamation by Governor Walker gives notice that a Special Election is going to be held in several wards and election districts of the 33rd State District on Tuesday, July 21, 2015, to fill the vacancy caused by the resignation of Paul Farrow. To view the notice issued by the Government Accountability Board on May 5th, click here. The deadline for filing nomination papers for the Special Election is 5:00 pm on Tuesday, May 26th. The Special Primary, if necessary, will be held on Tuesday, June 23rd. VOTER ID IS IN EFFECT AND IS REQUIRED FOR ALL ELECTIONS. The results are final. No outstanding absentee ballots were returned by the deadline Friday, April 10, 2015, 4:00 p.m.
To see tonight’s election results click here! The polls are open from 7AM to 8PM! The Spring Ballot contains the Offices for Supreme Court, Circuit Court Judge, County Executive, Municipal Offices, School District Offices, and a State Referendum. Click on the links below for sample ballots. Absentee Ballots are available for in-house voting on Monday, March 23rd through Friday, April 3rd. The Spring Ballot contains the Offices for Supreme Court, Circuit Court Judge, County Executive, Municipal Offices, School District Offices, and a State Referendum. Click on the links below for sample ballots. These results are final. The Board of Canvass reconvened on Friday, February 20, 2015. Absentee In-house Voting Starts February 2nd! Absentee Ballots are available for in-house voting on Monday, February 2nd through Friday, February 13th. The primary is required for the Waukesha County Executive Race. Click here to see a sample ballot. These results are tentative as the outstanding absentee ballots have until Friday, November 7, 2014, to be submitted and counted. If needed, the Board of Canvass will reconvene on Friday, November 7, 2014 at 3:00 pm. For preliminary election results for the Village o f Chenequa click here. You are invited to attend a Public Information meeting with your Village of Chenequa Trustees on Saturday October 25th, 2014 from 9:00 AM to 10:00 AM in the Board Room. The topic of this open forum discussion is to answer your questions regarding the November 4th referendum for the Village’s request to increase the 2015 budget by $85,284. Please bring any questions you might have. Click on the links below for sample ballots. Learn about Wisconsin’s Voter Photo ID Law and the Bring It to the Ballot public information campaign at BringIt.Wisconsin.gov. This morning, the Government Accountability Board has given further direction on the implementation of voter ID for absentee ballots. If an absentee ballot request is on file in the Clerk’s Office for the November election, photo ID must be provided before an absentee ballot is mailed out. This afternoon, September 16, 2014, the Government Accountability Board held a news conference on the implementation of the voter ID law. Kevin Kennedy from the Government Accountability Board advised clerks that if an absentee ballot request is on file in the Clerk’s Office for November, we CANNOT mail out absentee ballots until we have your voter ID. We are still waiting for further direction on an acceptable method to receive your ID. We will update this information as soon as we know more. The WI DOT has scheduled a public involvement meeting to present project plans and gather feedback for the intersection improvement plans at STH 83 & CTH K W/Beaver Lake Road on Monday, September 8th from 4-6pm at the Village Hall in Chenequa. Please click here for further information. Final results for the August 12th Partisan Primary Election are in. There are no outstanding absentee or provisional ballots. Click here for the full results. In-person absentee voting is underway for the 2014 Fall Partisan Primary. Voting is from 8 a.m. until 4:30 p.m. Monday through Thursday; and 8 a.m. until 3 p.m. on Fridays. Ballots are available through Friday, August 8th. The Fall Partisan Primary Election is on August 12th and the General Election is on November 4th. Proof of residence is now required for all voter registrations. Click here to view a list of possible proof of residence documents to use. The results are final. The Board of Canvass was completed on election night. Absentee Ballots are available for in-house voting on Monday, March 17th through Friday, March 28th. The Spring Ballot contains the Offices for Court of Appeals Judge, Circuit Court Judge, County Nonpartisan Offices, Municipal Offices and School District Offices. Click on the links below for sample ballots. February 18, 2014: No Spring Primary. Please be aware that the order they are listed is NOT the way they could appear on the ballot. The ballot placement drawing will take place at 5PM on Friday, January 10th, which any and all candidates and or public are welcome to attend. Monday, January 13, 2014 at 6:30 p.m.
NOTICE IS HEREBY GIVEN that at an election to be held in the Village of Chenequa, on Tuesday, April 1, 2014, the following offices are to be elected to succeed the present incumbents listed. The term for Village Trustee begins on April 15, 2014. The term for all other offices begins on May 1, 2014. All terms are for two years unless otherwise indicated. NOTICE IS FURTHER GIVEN, that the first day to circulate nomination papers is Saturday, December 1, 2013 and the final day for filing nomination papers is 4:30 p.m. on Tuesday, January 7, 2014 in the office of the Village Clerk. NOTICE IS FURTHER GIVEN, that if a primary is necessary, the primary will be held on Tuesday, February 18, 2014. On Monday, October 14, 2013, the Village Board of Trustees did hereby ordain and adopt amended Section 1.05(2)(b) relating to the regular monthly meeting time of the Village Board of Trustees. Regular monthly meetings of the Board of Trustees shall be held on the second Monday of each month immediately following the Village Plan Commission but no earlier than 6:30 p.m.
1) Review and consider approval of minutes of October 1, 2012 Operations Committee Meeting.